When the winter theme comes around in classrooms, cold weather animals are definitely one of the favorite topics. I've noticed that penguins are the most popular, especially for children who have watched Happy Feet! This craft is perfect for preschoolers who need a simple, quick, and fun art project. 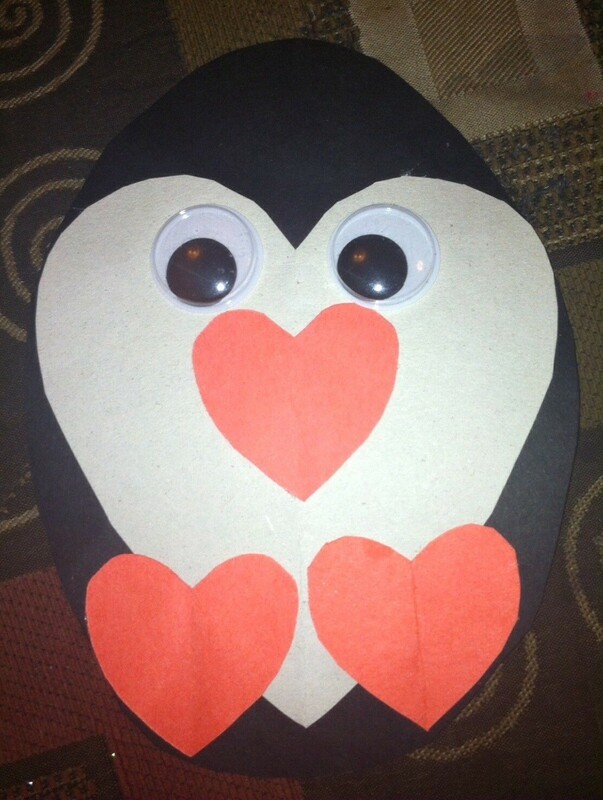 Making these penguins will allow children to develop their fine motor skills by cutting out the shapes. There are also many book choices for this topic, including National Geographic KIDS "Penguins", which gives many interesting facts and contains the best photos. 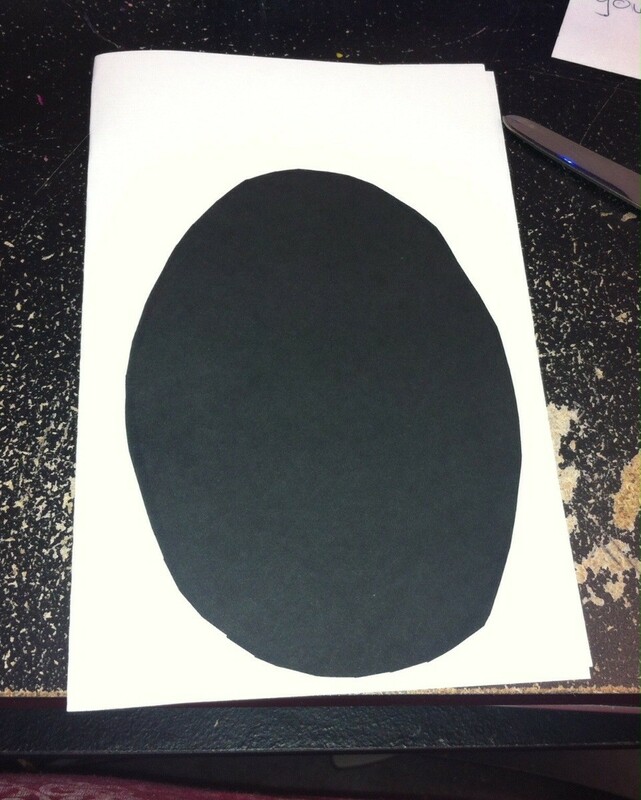 Cut an oval out of the black construction paper for the penguin body. Any size will work. I made mine approximately 7x5 inches. If younger children are making these, you can draw the shape for them to cut around. Cut out a heart from white construction paper. The top of the heart should be the same width as your oval. I originally cut mine out too large and had to trim around it. 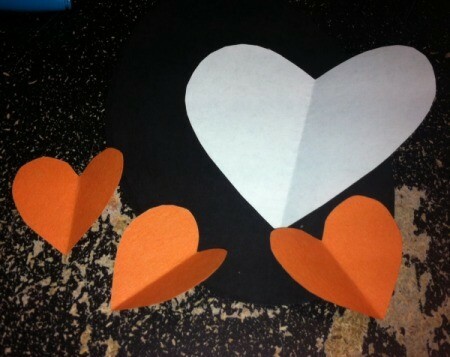 Cut three small hearts from orange paper to serve as the nose and feet. Glue all hearts onto the black oval body like the picture. 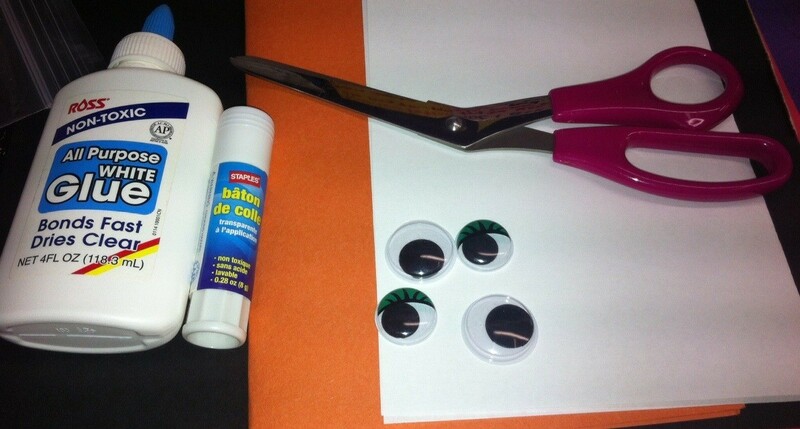 Use bottled school glue to add the eyes. You can also laminate these if you choose. 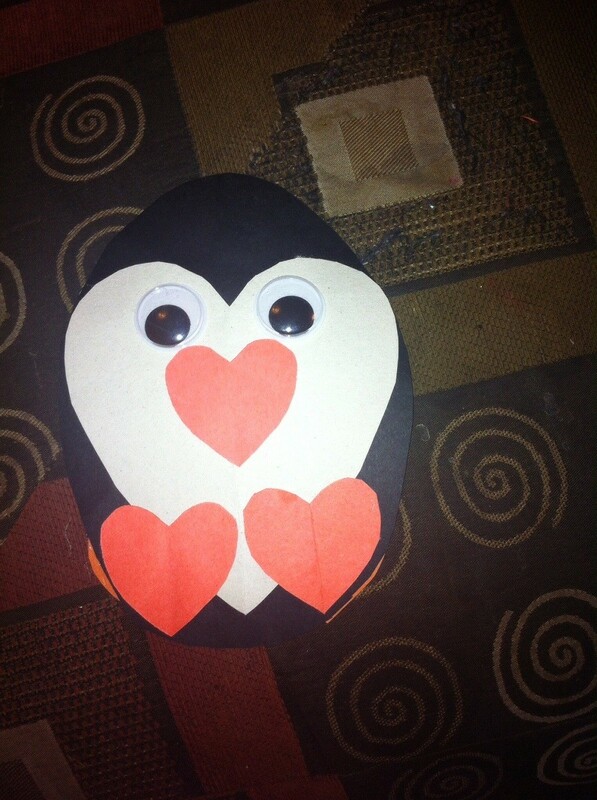 If you do this, laminate the penguins first and then use hot glue to add the eyes after.